Mid Feb and the migration is now quite widely spread in Ndutu. Such a contrast to just a few weeks ago, its very dry after a sudden change in the rain patterns. Lots of the wildebeest and zebra are moving towards Kusini in southern Serengeti. We are pretty much in the peak of the calving season and its a great time to experience this special part of the migration, with lots of newborn wildebeest around. Some of the herds have been spotted going to the Maswa Game Reserve following the recent rain storm in the area. 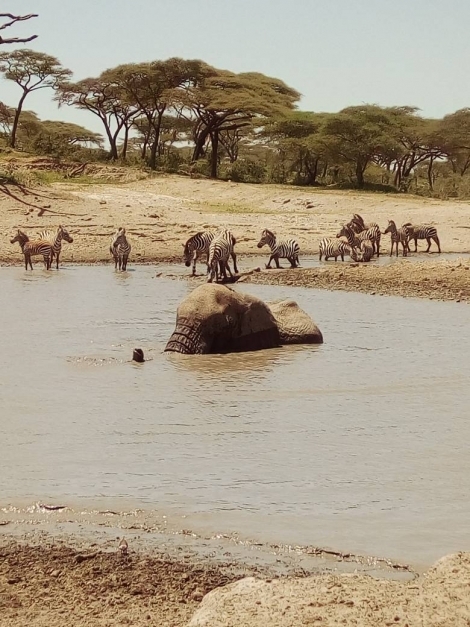 But that all said, there is still a good number of wildebeest and zebra around the hidden valley where there are seasonal water pools can be found. Predators are plenty in Ndutu, moving between the woodland and the big marsh. And with other resident game around, elephants, buffaloes, giraffe, warthogs, and gazelles, there is plenty going on. 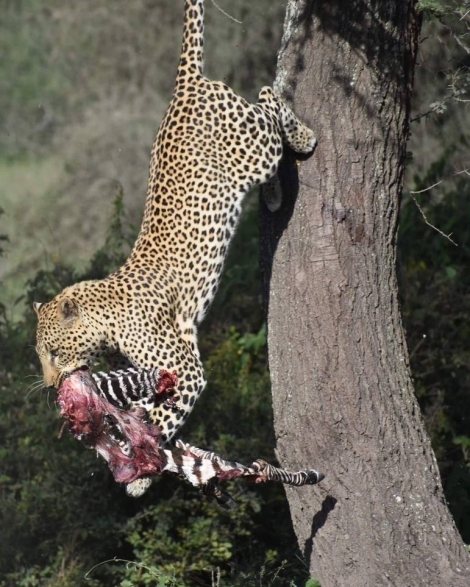 This fantastic photo was taken one of my recent guests, Barry Rochford, just 200 meters from our Serengeti Safari Camp.